Let's TESTMNL, LoveYourself and TestMNL's fast, easy, and anonymous HIV testing event is happening on May 28, 10 a.m. to 7 p.m. at Victoria Court Malate. To register, log on to go.loveyourself.ph/testmnl. Will it be your first time to get tested? If so, read on to get an idea of how an HIV test goes. 1. No fasting required. HIV testing does not require fasting. Go ahead and indulge on your favorite snack or drink before going to your scheduled test. 2. Have an open mind. Let go of your fears, and if you still have reservations, you can approach LoveYourself's trained counselors. They will guide you through the entire process, even after you get the results. 3. Everything is kept confidential. 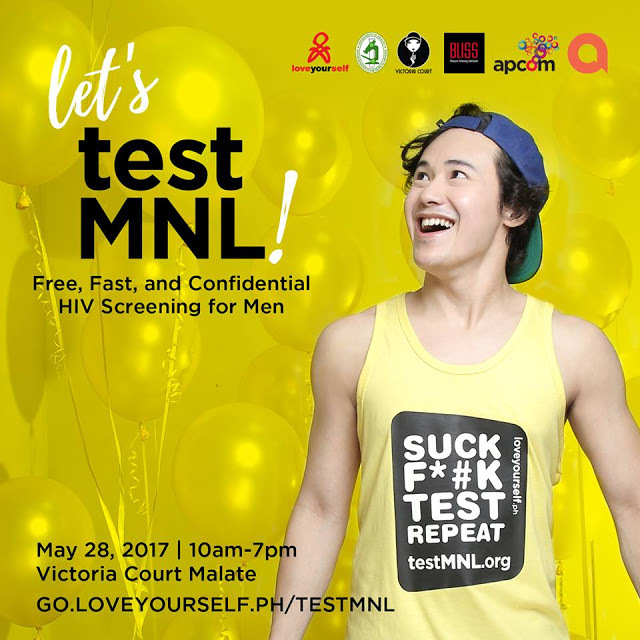 LoveYourself assures the anonymity of each client and confidentiality of the testing process – whether taking the test through LoveYourself Platinum, one of the hubs, or an HIV testing day event. Each test comes with three stages—the Pre-Testing, the Blood Extraction, and the Post-Testing. You will undergo a pre-test counseling, which includes HIV 101 and risk assessment. 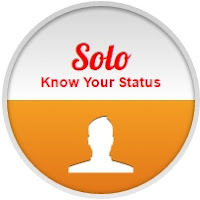 After the pre-test counseling, your blood sample is then collected and you will have to wait for the results. You will also undergo post-test counseling where the results of the blood sample are discussed by the counselor. Reactive: If the client’s result turns out to be reactive to HIV antibodies, his blood sample will then be sent to DOH / STD AIDS Cooperative Central Laboratory for confirmatory tests. Reactive clients are also referred to RITM Alabang for free baseline tests, which will determine if the client needs to start Antiretroviral Therapy right away. LoveYourself has always maintained that a reactive HIV test result is not a death sentence. With proper medication and further health protection, people living with HIV can and will continue to enjoy life’s blessings. LoveYourself provides a support system of counselors and other volunteers who can be the ultimate pep squad in helping someone live and continue to love, even with HIV. 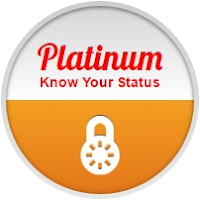 Get yourself tested and know your status. Sign up for Let's TESTMNL! at go.loveyourself.ph/testmnl. See you on May 28! This story was originally published on April 10, 2015. Updates were made by LoveYourself editors.